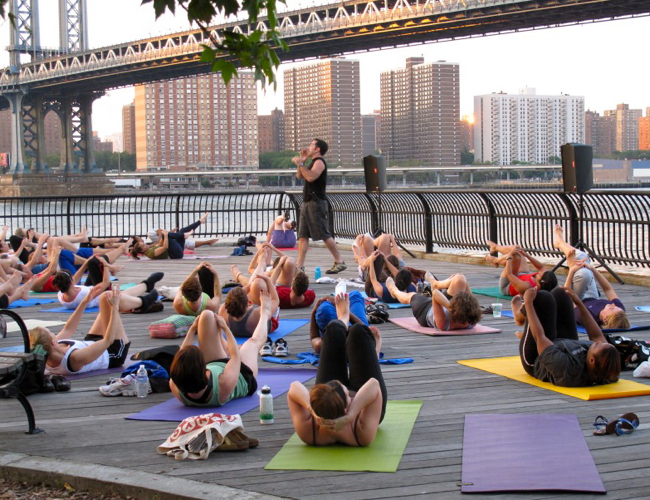 Every Tuesday from 7PM-8PM, you can take a free Pilates class overlooking the New York Harbor on the Empire Fulton Ferry Boardwalk. Registration opens at 6:30PM. In the case of rain, classes are held in the white tent located on Pier 1. Tonight, Public Enemy and Salt-N-Pepa will perform at Wingate Field in Crown Heights as part of the 30th annual Martin Luther King Jr. Concert Series. Entrances are located on Brooklyn Avenue between Rutland Road and Winthrop Street and the show kicks off at 7:30PM. Click here for more info. Broadway In Bryant Park takes place this afternoon with performances from some of our favorite shows: Traces, Jersey Boys, The Fantasticks, and Voca People. 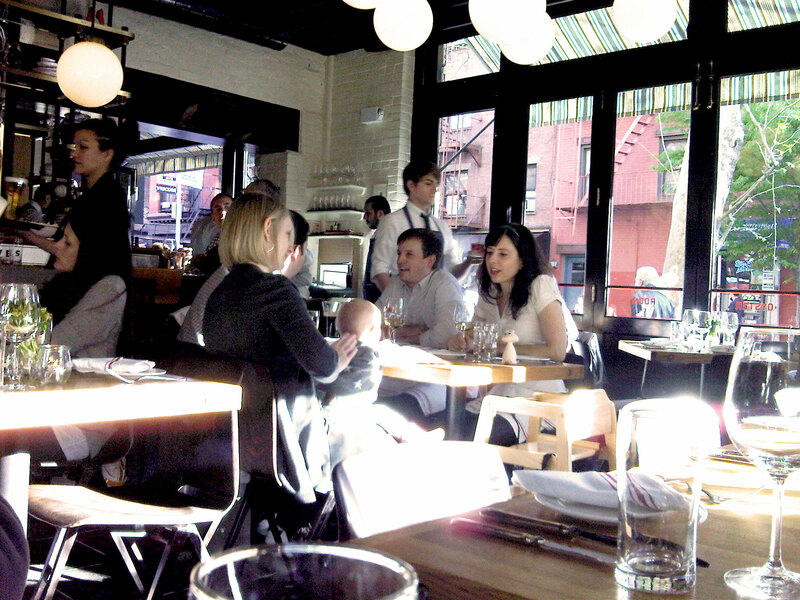 Weekdays from 11:30AM-6PM, swing by the new L'asso location in the East Village (107 1st Avenue) and treat yourself to two slices and a beer for just $5. Check out a free screening of Slumdog Millionare this evening as part Brooklyn Bridge Park's summer film series: Syfy Movies With A View. Music starts at 6PM and the screening begins at sunset. Click here for more information and a list of upcoming screenings. 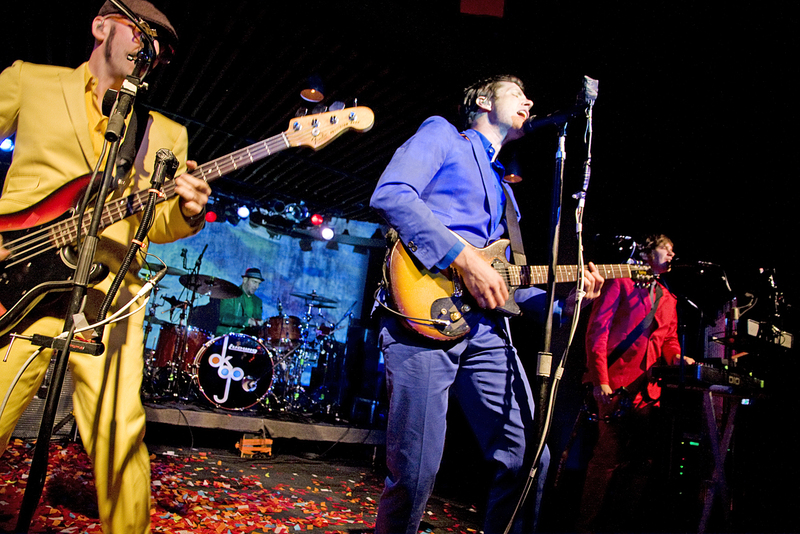 Tomorrow evening at 6:30PM, OK Go and Eugene Mirman will be playing a free show at Williamsburg Park (50 Kent Avenue at North 12th Street). Click here for more info. Swing by Central Park's Summerstage starting at 7:30PM this evening for a free improv comedy show with the folks from Upright Citizen's Brigade. 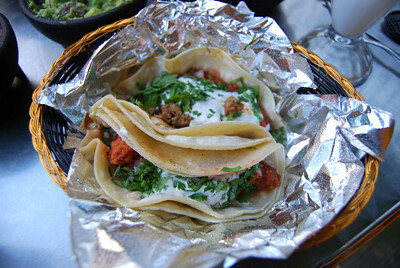 Take advantage of your summer Fridays by swinging by Papacito's (999 Manhattan Avenue) in Greenpoint for $2.00 tacos (until 4PM) and $2.00 beers (until 7PM)! Now through the end of August, four of our favorite vendors from Brooklyn Flea have been setting up shop underneath the Manhattan Bridge in DUMBO. Asia Dog, Brooklyn Oyster Party, Landhaus, and Mile End will be there every Thursday (11:30AM-8PM) and Friday (11:30AM-4PM). Go Burger Bar and Grill (1448 2nd Avenue) is offering a free order of fries this Friday to anyone who visits their Facebook page and prints out a coupon. Simply click here, scroll down, and redeem. 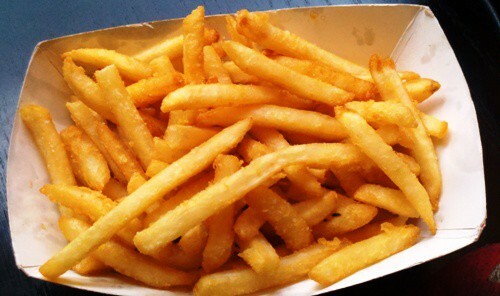 You'll then receive an email confirmation that you can print out and present to claim your complimentary treat this Friday -- National French Fry Day! Nothing beats a cold one on a warm summer day. Swing by Bierkraft (191 5th Avenue) in Park Slope this evening starting at 7PM for their free weekly Tuesday tastings. Swing by the Hell’s Kitchen Flea Market Gourmet Food Truck Bazaar (39th Street & 9th Avenue) this Sunday from 11AM-5PM for some delicious eats. Enjoy the fireworks and your day off from work! 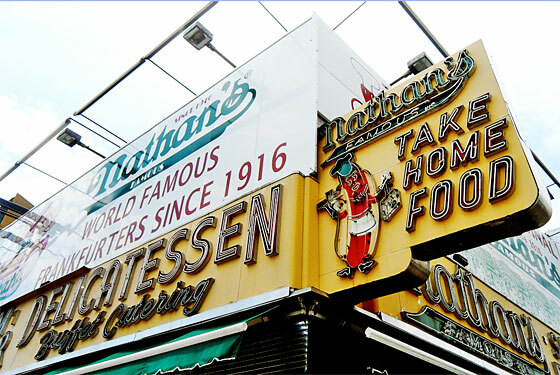 Check out this guide to Coney Island's Best Food Under $5 courtesy of New York Magazine. Enjoy these eats all summer long! All summer long, CityParks Golf is offering free lessons for 6-17 year olds at various locations in the five boroughs. Click here for more information and to sign up.